I just opened it up the lousy windows 10 photo editing app., increased the brightness and the contrast a bunch and tweaked the white balance (color balance) a bit. Total time invested = 30 seconds. It isn't a great fix, but it is on the way. You just need to open the original file in a photo editor and bring up the brightness and contrast. To be fair to my last attempt, that was a very quick job using a program I never use. I pulled the photo up in lightroom instead (I stopped using photoshop a few years ago) and managed this is a few seconds of tweaking. It didn't need more contrast, just a bit more exposure and a tiny bit of white balance correction. I used the color balance eyedropper and selected one of the presumably white rocks in the foreground. That gave me the basic color I wanted and I tweaked it a tiny bit manually from there. The problem doesn't appear to be your lens. You simply underexposed this shot by one and a half stops. If you don't already, you should shoot RAW (NEF). This gives you a lot more latitude to fix minor things like this on the computer. Here is what I could do using Affinity Photo. All my shots are purposely under exposed like that. I do it because it gives me a sharper image than the staying brighter. Editing photos is a long process for me... Ihave a galaxy samsung note II work phone that displays pic in a high saturation, this phone which is more dulled out and less color, then my laptop that gives out a different color tone all together. So I fix the pic... upload it into both phones and keep adjust til I get a final result that looks good on all 3 media devices. I figure that way, the pics will look ok from just about everyone's set up. That lens does have a little to do with it, I think tho... I actually cleaned it with visine eye drop liquid when I first bought the cam (nikon dslr d3200) because I didnt know you arent suposed to used that on dslr lenses lol I used visine all the time to clear my samsung ponit n shoot, no prob. So the uv protective layer has been completely burned off... I think that may have to do with it. I took the same shot with the 90mm mac right before that one and it came out in normal fixing ability...just didnt have the full view, only the dune in the middle. All my shots are purposely under exposed like that. I do it because it gives me a sharper image than the staying brighter. Actually, the way to capture the maximum amount of detail in an image is just the opposite. Because of some mathematical mumbo jumbo I neither understand nor care about, there is more pixel information contained in the brighter areas of a picture than in the darker areas. So if you overexpose a picture and darken it slightly in PS, there is detail in the lighter areas that can be recovered. But if you underexpose a photo, the darker areas don't have as much detail hidden in them. So if you try to bring up the exposure (lighten it) in PS, the computer algorithms have to "make up" the pixel information that is missing and this creates "noise" in the photo (usually colored specks). You can test this by photographing the same object twice. In the first photo, overexpose it by two f/stops (if the camera wants an aperture value of f/16, shoot the photo at f/4.0 and the same shutter speed). Then take an identical shot and underexpose it by two stops. Now take those two images and open them in PS. Darken the light image 2 stops and brighten the dark image 2 stops. In theory, they should now look identical. But the dark one that you brought up two stops is more likely to have noise visible and may have lost details that are visible in the overexposed one. You can read some of the arguments for and against this idea by Googling "Expose to the Right". The main argument is you are always better off getting the exposure correct in camera, but if you are to err, it is better to err towards overexposure as it is easier to correct later than underexposure. I may also add that you might look into getting an X-Rite Color Checker. Essentially, this will allow you to do a few things. First, you can create a profile for a particular lens, camera body, and lighting environment that can be applied to photos later on. While this may not be ideal because lighting environment does change and no two are exactly the same, it does get you a closer ball park because lenses and camera sensors do have different color sensitivities. If you want moment to moment corrections, you can take a picture with the color checker in the photo and then your desired photo. This also gives you an 18% neutral gray card swatch that you can use to calibrate white balance. 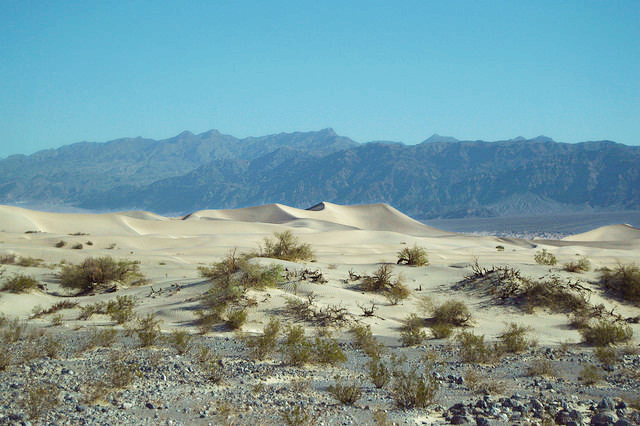 Heres an example of my desert shoot trials n error (original shots, not editing). Taken back to back in the most extreme worse conditions of light and angle... two steps darker/lighter like you mentioned. But you can easily see no editing can fix the result. The lighter is way bad. But this is the scenario I always face no matter what situation I shoot in...my darker shots always get sharper quality no matter what degree of noise and grain there is. MonarchzMan wrote: I may also add that you might look into getting an X-Rite Color Checker. Essentially, this will allow you to do a few things. First, you can create a profile for a particular lens, camera body, and lighting environment that can be applied to photos later on. While this may not be ideal because lighting environment does change and no two are exactly the same, it does get you a closer ball park because lenses and camera sensors do have different color sensitivities. If you want moment to moment corrections, you can take a picture with the color checker in the photo and then your desired photo. This also gives you an 18% neutral gray card swatch that you can use to calibrate white balance. Here's a one minute fix. Probably took less than a minute actually. I'm not sure why you are having trouble with this if you have Photoshop. Adjusting the exposure and color balance is a very simple fix? Porter, what I have always done is shoot in RAW, not JPEG. I open each image in Photoshop Elements and set the white balance using eye dropper in an area of the photo that is either white, grey or black and then tweak it from there. You have much more control with a RAW photo and all of your basic processing needs can be done easily in Elements, which cost like $75.00. I must add that underexposing your shots will add noise when you brighten them up. The thing to do is slightly overexpose the brightest/whitest part of the image and then back off in processing. Robert, if youre still out there, can you upload your dune fix to flickr so I can download? Now pay attention No Brainer. The reason the dunes look green is because your WB is off. If you shoot in JPEG it will be more difficult to fix your WB than it will be if you shoot RAW. If you want to shoot in JPEG than you should invest in one of the many systems to get the proper WB. like grey cards. The dull color of the Rattlesnake is a simple fix. If the light you are using is harsh, expect the results to be harsh. Dude you need more help with your manners than your photography. One of the reasons we haven't been able to help you more specifically is because you are removing the EXIF data from your photos during processing/upload. We can't see what camera settings you are using. It isn't a mystery. The darker one is sharper for one simple reason - the shutter speed was faster....which is also why it is underexposed and darker. It is all interrelated. You need to learn to expose your photo correctly while maintaining adequate shutter speed to make it sharp enough. Generally, you should choose a shutter speed that is at least the inverse of the focal length of the lens. If you can't do this, you need to adjust the aperture or ISO accordingly (or use flash or a tripod). If you aren't already familiar with this stuff, read online about the relationships between shutter speed, aperture and ISO and how they all influence exposure, image quality, grain/noise, etc.. I'm not sure why you are having trouble "downloading" the photo I posted? Just right click on it and save it. The reason I posted the pics of the dragonflies in flight is to show you guys the detail in the wings, while flying. You guys repeatedly are trying to convince my that Im not doing something right when I manually change settings myself....that I shouldnt shoot dark. But, how that conveys to me is, that Im not doing it like the post you read that was written by some other photographer that helped you better your own photography. Im not concerned witj that. I tried that already and I also personally asked advice from one of the best dragonfly photographers I know. Now, his adive was helpful for insight, however it did not work for my camera. Not only that, but he shoot 150 macro (I think) and I shoot 90mm macro. And because of different angles to the sun and time of day lighting, I had to just figure it out on my own. That dragonfly was just a tiny object in the original photo. I cropped out at least 50% but probably closer to 80% and you can see the fine detail (with some noise) of a fast moving object. Now youre just going to have to believe me, that I am happy with that result and dont need a better understanding of how to take a sharper image. I just need an already photographed dune photo fixed, because it wasnt taken with my 90mm macro, it was taken with a 18-55mm crap lens that was cleaned by visine that removed the protection layer. 1. It was taken, not only in harsh morning light, but underneath a blanket of cloud haze the was covering the sky in between the sun and photoshoot. That rattler should have way more color but there is an over natural amount of white in that photo. More than just shooting toward the sun. 2. I cut up a card board box and used duct tape to make a hand protection case to fit over the camera and my hand so I could get safe close up macro shots of that snake. There was a full layer of duct tape added to the outside of the cardboard to add extra fang protection. 3. Billiards...the art of geometry: The light from the sun, shinning though the thick blanket cloud haze, and then reflecting off of the shinning duct tape, projecting that white onto the shiny reflective snake scales, and then back at the mirror like camera lens, is why that shot has too much white for you guys to fix. No worries, all the rattlrr shots turned out bad because of those damn clouds and tape, which I probably wouldnt have attempted if it wasnt my last day of a long trip with little to no sleep. If I click on your pic and click save, I get a much lower quality blurry version of my photo, than you get from downloading the original file from flickr. Ive know this for years because I dont save photos on my my computers, flickr is my photo storage Before I had flickr, few years back I made a website on pixflix or some crap like that. Well, I had a comcast email that I used to upload my photos to it. I broke up with my gf, ended comcast, and wasnt able to log in and get my old photos to upload to flickr. I had forgotten the password. So, I had to go to the website I created, and steal my own photos by clicking on them and then saving them I then realized what bad quality you get when you do it that way. 1. The reason you can see your EXIF data and we can't is because you are logged in to your Flickr account. 2. The reason we can't see your EXIF data is because you have that setting disabled in Flickr. You have to go to your profile settings and unselect "Hide Your Exif Data". 3. The photos in question are underexposed. It isn't anything more complicated that not enough light getting to the sensor. Period, that's it. This doesn't happen because of cloudy skies, reflections, damaged lens elements, duct tape or any other such rationalization. 4. I don't know which photo it goes to (I can't find DSC0776 in your Flickr account), but based on that EXIF data you showed us, you have the camera set to underexpose by 2 stops. (Exposure Bias = -2). If that photo isn't underexposed then you can start looking at duct tape, cardboard boxes and cloudy days as the reason. But if it is "dark", it is because you have the camera set up to take it that way. 5. The reason the photo I fixed isn't as high a resolution as the one of flickr is because I started with the picture you posted, not your Flickr full sized image. The image I posted has exactly the same resolution (i.e. "quality") as the original you posted. Right click on the one you posted here and compare that to the fixed version and you will see they are the same. If you aren't happy with the assistance others have given you, fix it yourself. 6. You may know some guy who has taken a lot of dragonfly pictures. But the people you have asked for help from here have taken tens of thousands (or hundreds of thousands) of herp shots going back 20, 30, and 40+ years. Many of us learned our craft back in the film and slide days when you actually had to know what you were doing because film and processing cost a bunch of $$. You came here asking for help. When people offered help your response was "I already know everything" and "I can't be doing something wrong! It must be the box, duct tape, sun, lens, etc.". When people tried to explain why that wasn't true, you went off on a defensive rant. 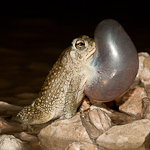 This site is a great source for getting assistance with herp photography problems. People offer their time and expertise simply for the pleasure they gain from helping others with something they are passionate about. If that wasn't what you wanted, you came to the wrong place. Lastly, if you are a teenager, I apologize. You will acquire a more thorough understanding and patience with practice. Im trying to be nice about this when Im writing, "thanks for the advice and tips." But, really how many times do I have to say that this was never a post asking how to shoot photography in the future... i really dont care. Simple as that. Im done with photography and that was a decision I made last year and isnt going to change. I know I jumped on the boat of taking a post subject of course, with some other people on other posts on here before. In fact I think you were the one or one of them...one the indian reservation post, right? So, this is obviously just a revenge move on your part, pushing my buttons and messing with my head. Large part of the reason ill be leaving this year, along with my own personal reasons. Photography is an art... non right or wrong way to do it. Also, I dont like a lot of aspects of even some of my favorite artists... like a lot of cobain stuff, especially his art, is very disturbing and too nasty. I understand what the message is and why hes saying it, but I dont feel the same way. Like, I dont do drugs or some cigerettes for example. In fact I rarely even drink a beer... I just like his opinions about art and can relate to some of it because my mom was a heroine addict and attempted suicide several times. So, its apart of me whether I like it or not... but, Id never kill myself or take heroine. You obviously dont need to see the exif info...because you already fixed the shot. And I know what effect the duct tape had on those shots, because I took a ton of shots under the same conditions, even the same morning at the same local, all underexposed like I normally do, and all the rattler shots are unfixible (nearly unfixable, i fixed a few, meaning i got the natural color info), because i only needed hand protection for that particular snake. And even tho I wrote, "feel free to download it" right at the top with what I wanted, it should be a given that fixing the original pic at its best quality available is what any and every photographer would want. I just think a better way to go about this may have been to just fix the shot, if you wanted to, and then say, "heres your shot fixed! I made it look as if it was my own. Sand looks like real sand, theres no green tint, the bushes are green, and the sky is blue." Not, "heres this crappy quick fix I did in 30 seconds." "ok, here it is again fixed but you cant have it" " I did this crappy one in 10 seconds,...I dont know why you cant do it yourself?"